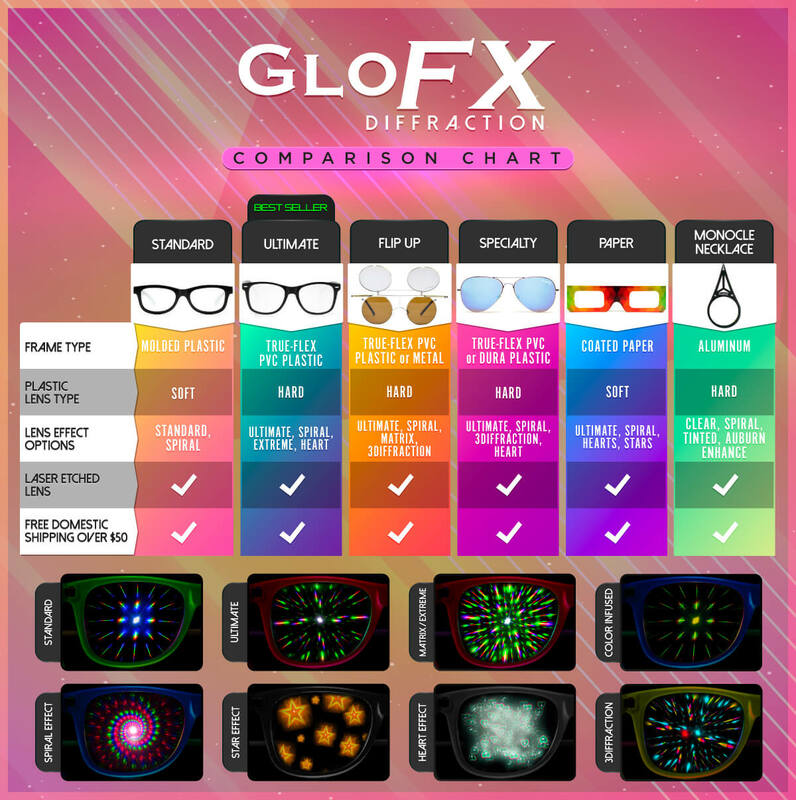 Neon Retro Diffraction Glasses offer all of the features of modern diffraction glasses, with the fashionability of late 80’s and early 90s retro clothing! The bright rave-style neon colors jump off the frame. With our stainless steel hinges and True-Flex PVC frame, your new EDM glasses are sure to stand the test of time. This sick pair of rave shades is limited edition, so if you don’t act soon, these glasses will be a thing of the past. Turn heads and blind haters with these ultra-bright neon shades today! I absolutely love my glasses, but so did someone else as they went missing on my first night out with them! Had to get myself a another pair, and a couple more designs too! I recommend at least the ultimate glasses as they are AMAZING!